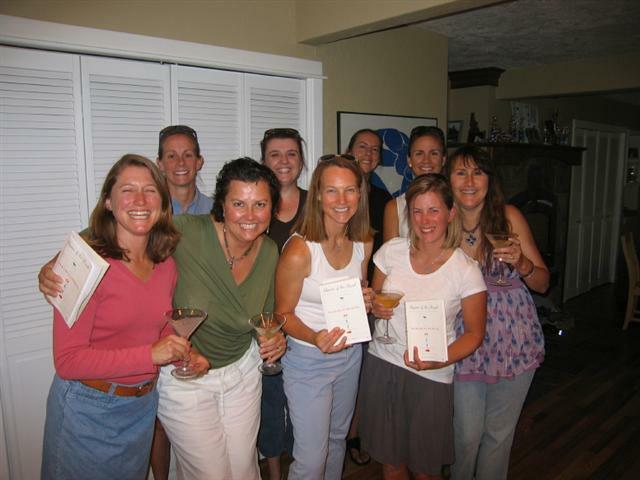 Somehow, a wonderful book group in Ketchum, Idaho, decided to read QUEEN OF THE ROAD, even though (as they pointed out) there was nary a mention of their fabulous state in any of my book’s pages. Front: Heather G., Jennifer T., Jennifer S., Mary, Alee. Heather D. took the picture. The group did provide some serious criticism, however. To wit, that I do not proffer a “Cousin JT’s been run’d over by the tractor” mug in my QUEEN OF THE ROAD shop. I merely have the t-shirt. For those of you wondering, Cousin JT is still doing well. And, how did he feel (ah, the shrink in me) about that episode being portrayed in QUEEN OF THE ROAD? Well, we recently got a picture of Cousin JT posing – in one of those very t-shirts – in front of that very tractor. Lookin' good, Cousin JT! (And my favorite book group in Idaho.) Ladies, Cousin JT thanks you for your concern and fandom! That is one bigass tractor. I knew it was big...but clearly I'm not a farm girl...because unless Cousin JT is a dwarf...that is one humongous trailer and he is indeed lucky to have all his digits functioning! could be used for good in this case. Are you sure Cousin JT isn't a Liliputian? If not, that is the biggest friggin' tractor I've ever seen. The Amish use nice little tractors pulled by horses. Maybe Cousin JT would be better off becoming Amish. Robin, he barely knows what Jews are. I don't think Amish is in the realm of possibilities. In addition to having run'd over Cousin JT, this was also the tractor which pulled our bus out of the mud when we got stuck. It better be big! This page contains a single entry from the blog posted on September 11, 2008 9:32 PM. The previous post in this blog was More on Our Birthday Fortnight (If You Don't Like It - Get Your Own Blog). The next post in this blog is Fun in the Workplace.